These pancakes are great tasting and Alli friendly! I made them for breakfast and topped them with fruit. 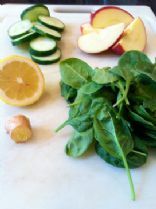 Spinach and mozzarella cheese are baked together to make irresistable savory appetizer treats! An easy low fat and low carb egg salad with no mayo at all! The original recipe sent to me was for 2 whole eggs and 1/4 cup butter or oil. I substituted 4 egg whites and 1/4 cup of unsweetened applesauce. My kids ate them and thought they were great. Only 88 calories! 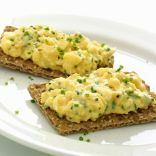 They go great with a slice of whole grain toast and jam for a light and very filling breakfast. And they are sooo good, you have to try them! a Quiche you can eat with your hands. Calories and fat are cut, flavor stays! When soggy cereal and steel-cut oatmeal loses its appeal, whip up one of Dr. Oz and Dr. Roizen's favorite breakfast treats! 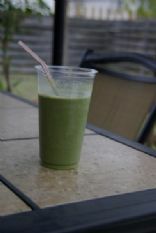 If you haven’t yet gotten into the green smoothie craze, get yourself a juicer. A jamaican dish my mom mom taught me. Hard to get fruit in your diet. Then try Juicing. 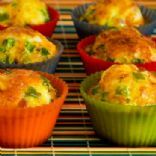 Egg, Spinach, & Canadian Bacon "muffin puffs"